Yahoo and Facebook have inked a deal that settles their ongoing patent dispute. In March of 2012, Yahoo claimed that Facebook’s technology was using many of the patents Yahoo was granted for social networking and online advertising. Although no money exchanged hands as a result of the agreement, the companies have consented to cross-license some of their key patents. Although the details have yet to be released, the terms seem favorable enough for both sides to not only drop their litigation, but issue statements of excitement regarding their new partnership. Aker BioMarine had requested a review of the US PTO patent granted to rival Neptune Technologies & Bioresources, and this patent review has now been granted by the US PTO for all 21 claims covered by this patent. The review was granted based on a number of references provided by Aker BioMarine which raised questions as to the validity of the patent, which has been used by Neptune in recent lawsuits against competitors. Neptune had filed these suits in Delaware, and the fact that the US PTO granted the review is a good indication that Aker and other companies targeted in the suits will prevail in court. The examiner from the US PTO noted that the original patent which was granted to Neptune claimed protection on a natural product (fresh krill meat) which was not invented by the company. Aker is pleased with the decision by the US PTO and is confident that their freedom to operate with respect to the patent in question will be upheld in the review process. The company has argued that the only reason the US PTO granted the original patent to Neptune is that they were not aware of all the prior art which was relevant to the patent application. In light of the review decision by the US PTO, Aker is calling on Neptune to withdraw their lawsuits based on this patent and cease the intimidating correspondence they have been sending to marketing companies and distributors of Aker products. The patent in question was only granted one month ago, and it covers methods of reducing the formation of plaque and lowering cholesterol in humans using krill extract. Aker filed a request for a re-examination of the patent on the first day it was granted to Neptune. In spite of the fact that the request for review has been granted by the US PTO, Neptune has refused to withdraw its lawsuits and has stated that they believe that their patent will stand up to the review process. 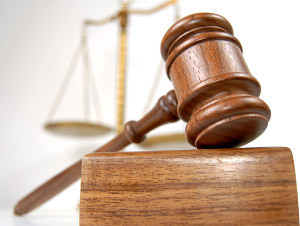 Neptune has stated that they will defend their intellectual property in court. They argue that simply because a re-examination of that patent has been granted by the US PTO, it does not provide strong indication that the claims of the issued patent will end up being restricted. However, in 89% of USPTO review cases the patent claims are either changed or cancelled. Google and Microsoft have been continuing a patent war which Google claims is an attempt by Microsoft to suppress growth of the Android OS, while Microsoft alleges that Google is hoarding patents to protect Android. Specifically, Microsoft noted that Google wouldn’t participate in the recent Novell patent bid with Microsoft because those patents weren’t related to protecting Android. Google responded to this accusation with their own accusations against Microsoft in a scathing blog post. Google accused both Microsoft and Apple of conspiring to gain control of patents from Novell and Nortel, and to keep patents from Google in an attempt to undermine Android. The Android OS is the flashpoint for this patent war, which is not surprising given that it accounts for 40% of the US market and 50% of the worldwide market. Google also responded to the accusations by Apple and other patent holders that are alleging Android infringes on their intellectual property. Google’s legal defense is quick to paint the battle as the rest of the technology industry ganging up on Android due to its success. Seen from another point of view, though, some in the industry say that Google doesn’t have the right to accuse others of undermining it when it doesn’t own the patents involved. Basically, if Google had acquired the patents in question it would have been a non-issue, but since these were acquired by other companies Google is accusing them of conspiracy. Also, from Microsoft’s point of view Google is undermining their business by giving Android away for free. The fact is that other companies outbid Google for the Nortel patents by banding together in a consortium shows how much these patents are really worth. The United States Congress is in the process of working on patent reform entitled the America Invents Act. Some commentators, such as Forbes columnist Timothy B. Lee, suggest that Google is one of the leading victims of the US patent system which often hampers innovation, and the current move towards patent reform could help the internet tech giant. A recent patent suit which was filed by Akamai against Contendo has resulted in a buyout of Contendo by Akamai. The patent infringement case was filed by Akamai about one year ago, and the fact that it resolved in a $268 million bid in cash for Contendo is a good sign that there is a silver lining to many patent suits today. It is also a reflection of the fact that Akamai saw value in Contendo’s business as more than just a copy cat of its intellectual property. This is one of several similar cases in recent weeks in which patent infringement suits have led to buyouts or acquisitions. For example, Nuance Communications also bought out a smaller rival called Vlingo following a patent suit lodged against this voice recognition company. A patent infringement lawsuit is increasingly a sign that a start up company has potential in the tech world, and the pattern seems to be that more of these companies are resolving the suits in a positive manner through acquisitions. This pattern became evident back in 2007 when Data Domain issued millions to Quantum as part of the settlement terms on a patent infringement case. Two years later, Data Domain was purchased by EMC for over $2 billion, which represented a doubling in price from the IPO issue. Quantum, on the other hand, has seen their stock drop by more than 25% since the IPO of Data Domain due to falling tape system sales, which have decreased by more than 30% year on year to around $250 million. Another way of looking at the patent suit resolution between Akamai and Contendo is that it helps to bolster Akamai’s competitiveness. Unsurprisingly, news of the deal caused the share price of Akamai to pop when the deal was announced. Another aspect of the story to consider is how the lawsuit and acquisition will affect the relationship of Contendo with AT&T. It is rare for a company like Akamai to get a deal on a company like Contendo for such favorable terms. The total cash buy out for about $268 million represents 6 times the revenue estimates for Contendo for fiscal year 2012. Wall Street pushed up the market cap of Akamai to $1 billion on news of the deal because it represents an answer to the assault on Akamai’s business and shows the company has found a way of fighting back. Embattled camera-maker Kodak Eastman Co., has filed patent infringement cases against Apple for its four patents relating to digital camera technology. Apple however denies this claim and petitioned the US Bankruptcy Court in the Southern District of New York hearing Kodak’s bankruptcy case to attach “clarifying language” to such orders by the court that will allow financing to Kodak. It asked the court to indicate that the patents owned by Apple or those it claims which remain disputed should not be attached as security or lien. It clarified that they are not blocking any request of Kodak for post petition financing but that Kodak cannot use the patents that they do not own as collateral. Apple maintained that during the early 1990s, they had a partnership with Kodak which among others, focused on how Kodak can help Apple in the further development and commercialization of its digital cameras. This resulted in the sharing of digital camera technologies. The two companies entered into a non-disclosure agreement which also includes a provision that all the developments or changes in those technologies will remain with Apple. Therefore, ownership of the patents is with Apple and not Kodak. As a matter of fact, Apple added, that when the information that Kodak was using the subject technology and that they were already claiming the patents as their own, came to their attention in 2010, they were consequently pressed to file a patent infringement case. This still remains under litigation. Kodak on the other hand denies the allegations and maintains that they are the owner of the patents and not Apple. Kodak has been aggressively claiming its patents in an effort to produce capital to sustain its operation. However, the efforts were still insufficient, prompting it to declare bankruptcy under Chapter 11 in New York. Kodak failed to adapt to the technological advances in digital photography which, ironically, it invented. MorphoSys is on the height of creating antibodies as they receive the US patent intended for MOR202. The world’s leader when it comes to forming the technology for antibody is proud to have received the patent that is to expire on 2028. However, it is said to be exclusive of any extensions that may be due to regulations. The said antibody is known to give therapeutic cure to myeloma of multiple forms and even several types of leukaemia. Patients who are currently suffering from a relapsed myeloma are now being subject to the human HuCAL antibody in Phase I/IIa therapeutic tests. It is also a medical development fighting against the deadly cancer cells. MorphoSys has generated this antibody. Having undergone a crucial medical engineering procedure, it is declared as fully human. As studied by the medical experts of the company in four locations of the world, MOR202 or simply the HuCAL antibody to fight CD38, has the potential to be a cure against myeloma and leukemia. This finding is still the focus of the doctors who are experts in engineering and forming the medicines that can cure the incurable diseases currently suffered by many people today. MorphoSys was established in 1992 as a company catering to the developing and creating antibody technologies that are fully human. This company has been an expert in this medical engineering technology field. In fact, several big companies have partnered with them to support the engineered medicines that are trying its way through the market. Some of these companies include Daiichi Sankyo, Novartis and Boehringer Ingelheim. Companies that are well-known all-over the world who have used the benefits of the antibodies developed by MorphoSys are Pfizer, Merck and Roche. MosphoSys has come to pass the difficulties in proving themselves. And receiving the US patent for MOR202 is another milestone that serves as their green light for more developments yet to be found. 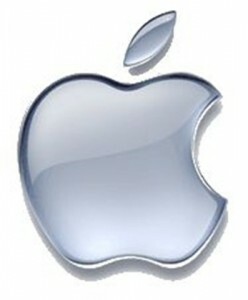 Apple has recently filed an application for a new patent on fuel cells which are designed to power mobile devices. These fuel cells would be used to create more efficient devices. The patent describes a technology for making mobile devices smaller and lighter in weight by utilizing a fuel cell system in place of the current batteries which are used in devices like laptops. This patent application follows on the heels of another patent application by Apple for a new hydrogen fuel cell design which is lighter than existing fuel cells. This hydrogen fuel cell patent was filed late last year, and describes a process for connecting multiple fuel cells in a single unit via a power bus and a circuit that multiplies voltage to add additional power to the stack. The use of fuel cells to power a new generation of notebooks which are lighter and smaller than any devices available today will be enabled if this patent application is granted to Apple. According to the patent filings, one of the advantages of using fuel cells in place of other power sources is to reduce reliance on fossil fuels, as more consumers express a desire to move away from these older energy sources towards more renewable technologies. Apple has noted in their patent application that it is the increased consumer demand and awareness for energy efficient technologies which is driving industry change towards these alternative technologies. Specifically, they note that the Electronic Product Environmental Assessment Tool (EPEAT) is one rating system which allows consumers to effectively compare the energy efficiency of various consumer electronic devices. The engineers at Apple have designed the new fuel cells described in their patent application to work well with more conventional batteries. This application describes how fuel cells can be incorporated into consumer electronic devices, including laptops, in order to deliver optimal performance while reducing weight. Fuel cells are a compelling next generation technology because they are energy dense, which means they offer high energy efficiency when compared to conventional batter power. The high gravimetric and volumetric energy densities which can be achieved with fuel cell technology may revolutionize the consumer electronics industry, allowing devices to go for days or weeks without charging up. The technology offers a superior solution to the age old challenge of making mobile electronic devices cost effective and portable, as noted by Apple in their patent application. Cequint recently sued Apple over alleged patent infringement relating to caller ID technology. Cequint has cited the fact that many other smartphone makers license the technology in question, including HTC, Nokia, Motorola, Samsung and Research in Motion (RIM). Cequint is seeking a court order to prevent Apple from using its caller ID patented technology and is also seeking unspecified damages from the company. Lawyers for Cequint allege that the company has been damaged by the patent infringement and that it will suffer irreparable harm unless a court orders Apple to halt the infringing activity immediately. Some of the largest smartphone makers like Samsung, which is engaged in its own battles with Apple in courts around the globe, have provided testimonials on Cequint’s website which support the company’s case against Apple. The patent lawsuit filed by Cequint against Apple alleges that Apple has infringed on patent rights to an advanced form of caller ID technology. Cequint is claiming that they are the first provider of enhanced mobile caller ID services which show not only the caller’s phone number but also the location where the call is originating from. The lawsuit cites 2 patents which are being infringed upon, both of which were obtained by Cequint in 2007. One of the patents was acquired while the other was granted to the company by the US PTO. The caller ID invention in question covers the retrieval of geographical information about a call as well as the read out display format of this information. Some experts believe that Cequint may have a clear case against Apple because of the fact that so many other large smartphone makers do license the patented software from the company. Cequint is asking for compensation from Apple related to both direct and indirect patent infringement of its advanced caller ID technology. The lawsuit was filed in the US District Court for the District of Delaware. The company alleges that Apple has directly infringed on at least 4 claims of its ‘212 patent and many claims in its ‘664 patent as well by producing, importing and selling models of its iPhones which run the iOS 5.0 OS, as well as upgrades to previous versions of the iPhone which enable the use of iOS 5.0 features. Cequint also alleges in the suit that Apple has indirectly infringed on the ‘212 patent and ‘664 patent by importing and selling components of Cequint patented systems and materials which are used in applying the patented methods and inventions of the company. Qualcomm has made a major shift in direction with their acquisition of HaloIPT (Inductive Power Transfer) from Auckland University’s UniServices and Arup engineering. As part of this acquisition, the San Diego based wireless giant also gains access to a number of valuable patents covering advanced wireless charging technology. The acquisition is part of Qualcomm’s strategy to develop wireless technology for transmitting electricity. UniServices, the commercialization arm of the University of Auckland, has developed technology which generates an electric field from a small electromagnetic device that can wirelessly transmit electricity to charge up the power system of an electric vehicle. This technology, which is known as energy induction, is not new. In fact, it was first demonstrated by Tesla in 1893.However, the idea has been getting more attention in recent years as more companies focus on smart energy solutions. Qualcomm, which up to this point has been best known as a wireless chip manufacturer, will receive all of the patents, technology and other assets of UK based HaloIPT. This start up company claims to be the first in the world to make IPT technology viable for commercial use in charging electric cars. Qualcomm has invited all of the HaloIPT team members to join their European Innovation Development group which is also based in the UK. The HaloIPT acquisition is expected to further strengthen the Qualcomm patent portfolio and represents a major step forward in boosting their work on wireless power. No dollar value has been disclosed on the deal, but according to UniServices it is the largest technology transfer ever completed by a university in New Zealand. In addition to the acquisition of HaloIPT patents, UniServices and Qualcomm have also agreed to commit to a long term relationship for the purposes of research and development in the wireless charging technology field, particularly as it relates to charging for electric vehicles. HaloIPT has been able to successfully build on over 20 years of innovation and development at the University of Auckland in the area of wireless power. HaloIPT was able to commercialize this technology in a short time frame and establish itself as one of the leaders in the cutting edge industry of electric vehicle charging. This achievement has been acknowledged with a number of industry awards for HaloIPT over the last 18 months. Qualcomm is in a position to extend the reach of this technology to many third parties and further develop it as an industry standard. 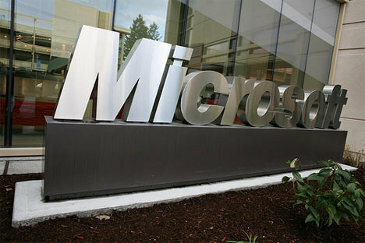 Microsoft has opened patent talks with Chinese telecom giant Huawei. The talks involve the use of Android in Huawei mobile devices. Microsoft has alleged that certain features of Android OS infringe on patents held by Microsoft. The company has managed to talk to 10 other smartphone manufacturers that use Android in their devices to sign licensing agreements to avoid litigation. Under the terms of these agreements, the manufacturers pay Microsoft royalties on each device they produce. The chief marketing officer of Huawei has stated publicly that the company holds over 65,000 patents, which is enough to protect the company’s interests. Shenzhen based Huawei is focused on their goal of becoming one of the top smartphone makers globally within 3 years. It is already the second largest maker of mobile phone network infrastructure in the world, just behind Ericsson of Sweden and ahead of Nokia Siemens and Alcatel-Lucent. If Microsoft is successful in drafting a patent licensing agreement with Huawei, it would mark the latest licensing agreement between Microsoft and major smartphone developers. Huawei has chosen to launch a global roll out of new smartphones and tablets in the UK in 2012. A decision by Huawei to sign a licensing deal with Microsoft would bring it in line with many of its peers around the world. Microsoft refused to comment on the status of the discussions with Huawei, but a company spokesman noted that they are pleased with the momentum that their Android licensing program has developed. Currently, Microsoft has inked similar agreements with 10 major manufactures, representing more than half of the Android devices produced worldwide. Along with the company’s announcement of patent talks with Mircosoft, Huawei has also announced that they plan to open a design center in London. They will be rolling out new phones and tablets in the US, India and Japan over the next year, and the company plans to expand beyond these markets in 2013. Huawei has set very aggressive targets in their five year plan, which if achieved will see the company ranked among the top 5 global smartphone makers by 2014 and in the top 3 by 2016. However, these aggressive expansion plans are almost guaranteed to step on Microsoft’s toes. While Microsoft has been able to threaten other companies with litigation in order to get them to sign licensing agreements, Huawei has hinted that they have enough patents to defend themselves in court.